I’ve seen Psycho many times. It’s probably up there with Star Wars, The Wizard of Oz, This is Spinal Tap and a few others which I have seen far more times than I can hope to remember. You could also count Superman II and Superman III, which I seemingly watched on a VHS loop in the early 80s and have never watched again since. 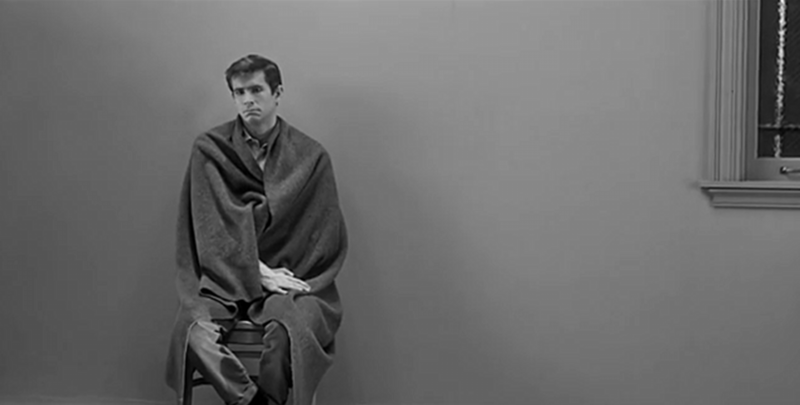 But Psycho is a film that I have watched umpteen times even as an adult (you can tell how old I am by my unabashed use of the word “umpteen”). I first saw it as a spotty greasy teen, slightly disappointed that it wasn’t a raging gorefest, but I have come back to it many times, and developed a deep appreciation for the craft with which assembles its scares. But you don’t need me to tell that Psycho is good. 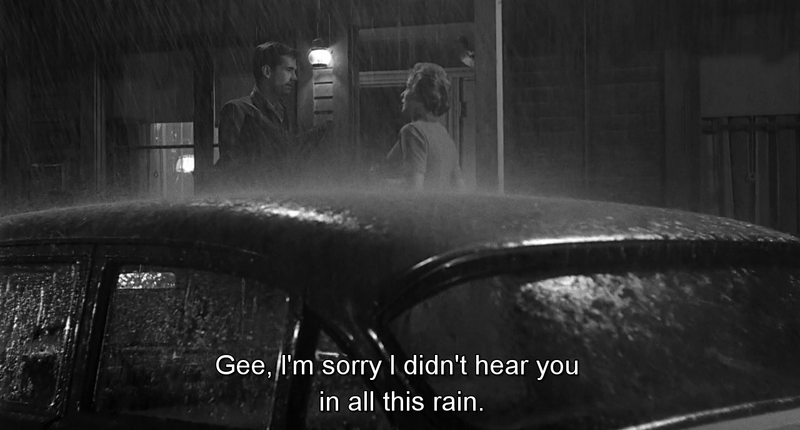 Psycho is also one of the most written and talked about films of all time. It is a staple of my teaching, meaning that I’ve usually treated as an exercise, an intellectual assault course for introducing students to the niceties of authorship, narration, sound design, and scoring. Now that I teach high school, I can’t just leave the students in the screening room and go and amuse myself elsewhere. I have to sit in the room with them and drink tea (OK, the tea is not compulsory). This allows the students and I both a break from hearing each others’ voices, and provides fuel for the rest of the week’s lessons as we pull the film apart and inspect its moving parts. Today, on my latest encounter with Psycho, I set myself the challenge of finding some things I had never noticed before. I set myself the goal of a list of ten things, but it didn’t quite turn out that way: I only wrote down eight, and I started following a few things more intently than others. These are not arcane facts from behind-the-scenes of the film: there are plenty of those around for you to enjoy. These are just some of the things I scribbled down in my notepad. …And live with me in a storeroom behind a hardware store in Fairvale? We’ll have lots of laughs. I’ll tell you what. When I send my ex-wife her alimony, you can lick the stamps. … Marion, with her arms around his neck agrees “I’ll lick the stamps!” It’s a line that sounds like a sexual innuendo that promises much unuttered pleasure, but Sam is expressing his own inadequacy as a partner, and Marion is showing her slightly pathetic need to do any demeaning thing to progress their relationship. For the rest of the film Marion is either on or her own or hiding such a big secret that she remains a guarded performer, so this is a rare moment of emotional revelation and urgency. 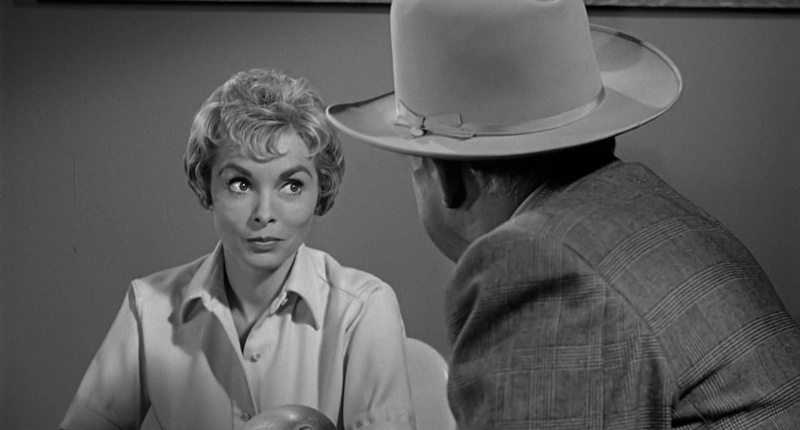 Well, I always knew Janet Leigh had some eyebrows. They’re marvellous punctuation marks on her face. But once I turned my attention to little details like this, I could see how expressively they filled out her character for the viewer. They’re not soft lines of beauty, drawn on like stage make-up to affirm her femininity as a woman who knows how to present herself: the characters with whom we see her interacting at the office seem to mistake her aloof demeanour as passive acceptance of her role as listener, not speaker. No, Marion’s eyebrows have so much wit and wile in them. We can see she’s nobody’s fool from those strong black lines giving her a perpetual look of mild bemusement as a wealthy client at her office parks himself on her desk and tries to flirt with her, granting him temporary clemency for his self-satisfied boasting. 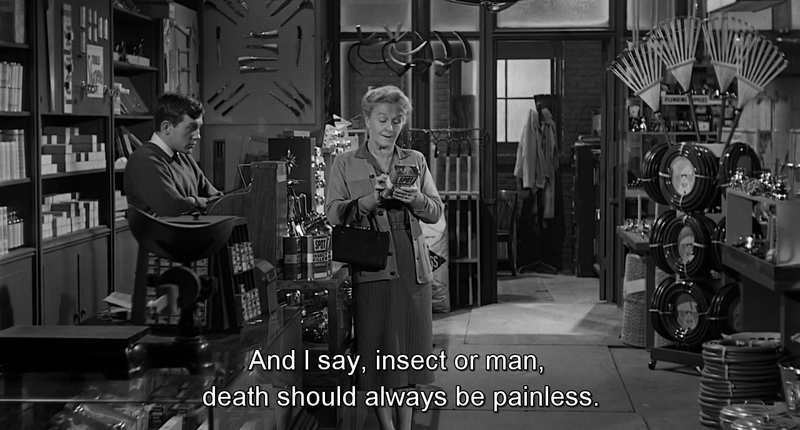 The eyebrows are immaculate, swooping little brushstrokes of characterisation, but they’re also part of Hitchcock’s elaborate ruse to wrongfoot his audience: no woman who appears as vital and steely as Marion could possibly be suddenly eliminated without a second chance, right? 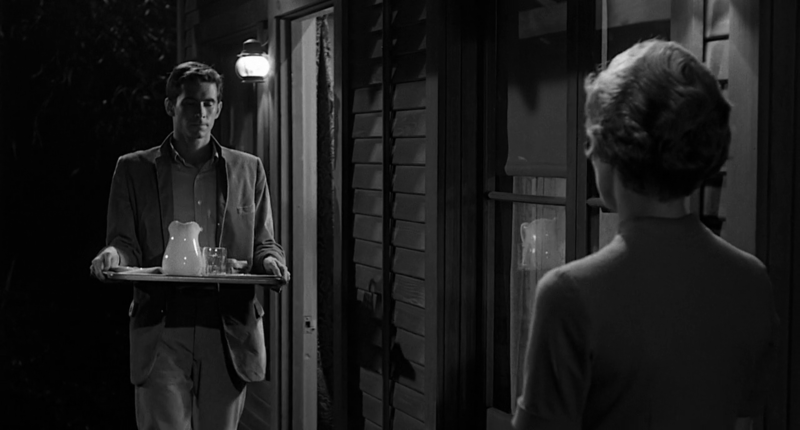 Norman Bates’s first line is “Gee”. When Norman returns from a fight with mother, which Marion has overheard, he truly has what Scousers refer to as a “face like a slapped arse” (though it may also be found in Irish slang, I’m told). This, and the previous example, are evidence of the exquisite detail in Perkins’ performance, all brittle self-effacement and edgy acceptance of his victimhood. It hides his identity as perpetrator of violence, perhaps even form himself – my students ended up having a discussion about whether or not Norman knows he is a murderer, or whether he himself is as perfectly deceived as audiences are meant to be. The shower scene is so famous, but still effective, with all of its jagged cutting and untidily asymmetrical montage, as if the entire apparatus of the film is gripped in a violent struggle for control of the editing scissors. But I hadn’t really registered the detail of Marion loudly unwrapping a new bar of soap as she stands in the shower, until I watched it with the HoH subtitles on. 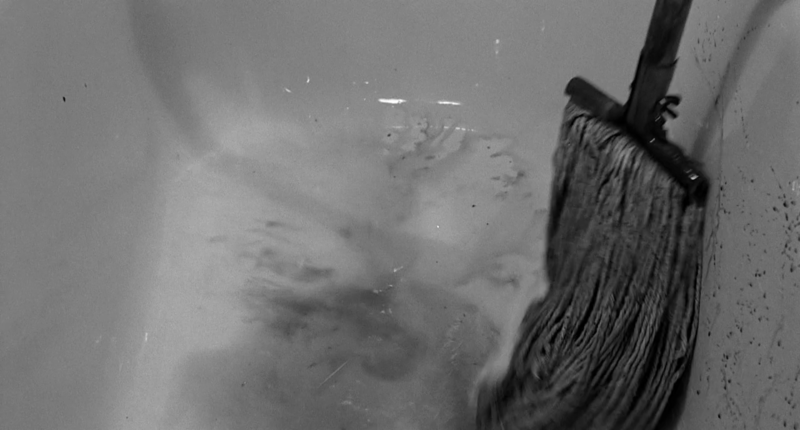 The sound is very important in Psycho, from the screeching stabbing noises of Bernard Herrman’s score to the prominence of rain/running water. This one sound of a crinkly wrapper, which we don’t see, seems very prominent in the mix. It speaks immediately of the stasis of Bates Motel, every room ready for new guests. If you wanted, you could read this as a “fresh start” for Marion, but I like it just as a homely, mundane detail that precedes the most uncanny horror that is about to follow. After the patient, deliberate, surefooted build-up, the shower scene now seems to this repeat viewer less like a devious surprise and more like a release of pent-up energy, a brutally ecstatic explosion (though its impact is more like breaking glass) that jumps the film onto a new track and exhilarates with its daring erasure of the narrative drive the film had so carefully constructed. It’s like building half of an elaborate house of cards only to knock it down with a swooping backhand. And then picking up the mess and playing a few hands of poker. Plus, returning to my first point, when Marion steps into the shower she has resolved to return the money and fix things; she finally believes herself alone and unserveilled. She gets a few moments of release and relaxation before her end. Is that a toothpick in the bloody bathtub? In the middle, towards the bottom of the frame. Whose toothpick is that? A deliberate detail, or a leftover from the film’s crew? The purpose of both characters is, I think, quite straightforward – add a little light relief and slyly ironic humour – two people casually banging on about violent death without realising how close they are to it. I hadn’t spotted the similarities before. I don’t know why I noticed this, and I don’t even know if it’s of any significance, but this is the kind of thing that happens when you force yourself to look closely at a movie. When Norman leaves the bathroom after wrapping Marion’s body in the shower curtain, we can see the arrangement of the rings left behind on the curtain rail. 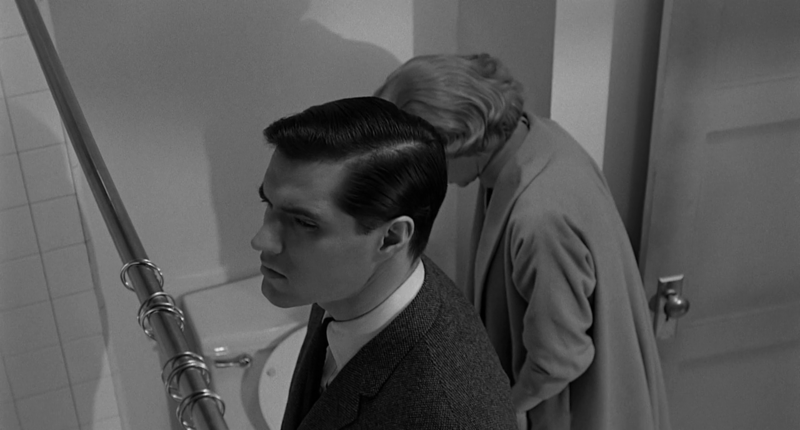 Near the end of the movie, when Sam and Lila are searching the Bates Motel for clues about Marion’s disappearance, Sam notices the absence of the shower curtain. And the rings are still in exactly the same arrangement. This started me thinking about what must have been done to make these two scenes match. It may be the case that these scenes, far apart in the script, were shot on the same day on the same set, so the rings had not been moved, but it’s more likely that the somebody took great care over continuity and made sure that the rings matched up in the two shots. If the rings had been differently arranged in the later scene, it wouldn’t have mattered: we could just have assumed that Norman had been back into the room to check it was clean and disturbed things. 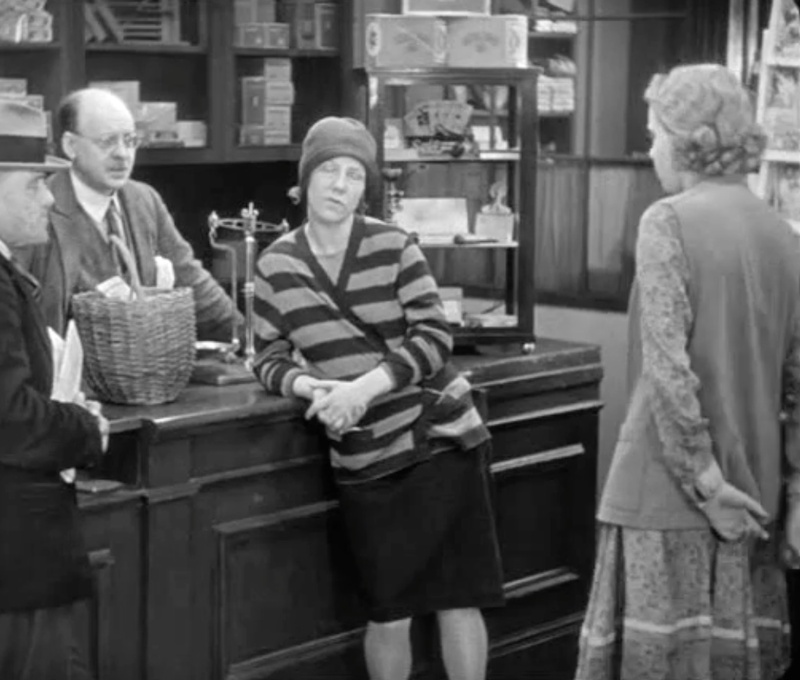 But because the scene is precisely as Norman left it after the murder, the set now tingles with Marion’s absence. 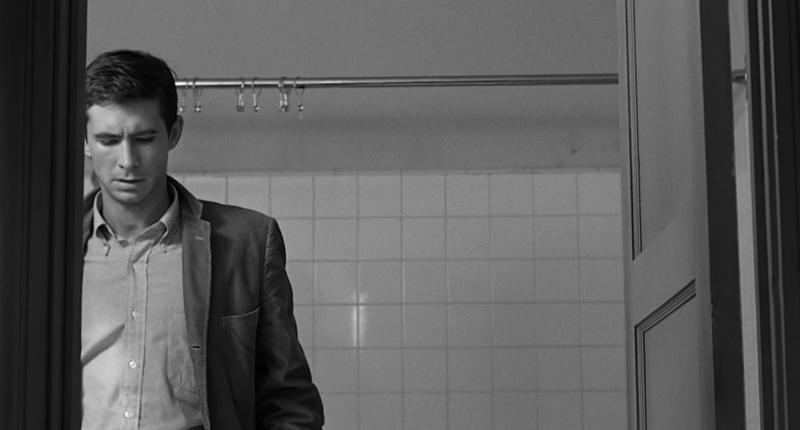 It’s always interesting what we notice on the second…fifth…umpteenth time watching a great film like this. All interesting observations; I am particularly taken by the interpretation of the shower curtain rings. Oddly enough, I always took Marion’s “I’ll lick the stamps” line as a sign of her quasi-desperation and not Sam’s inadequacy—and certainly never as (the now obvious to me) sexual innuendo.